Elephant Games is back with a new case that only the Royal Detective can solve! 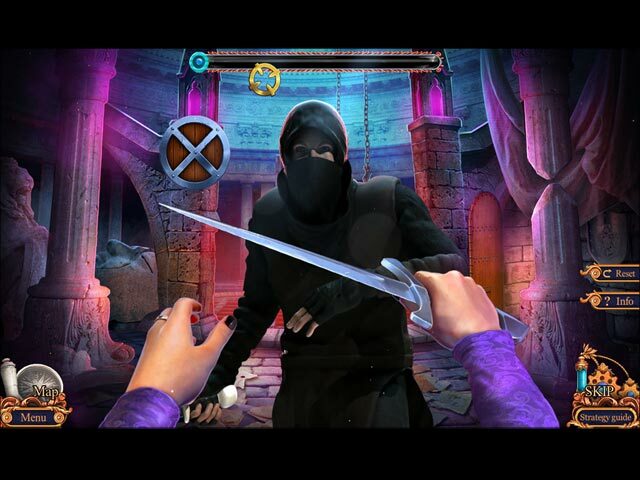 Thwart an assassin's path of destruction in the bonus game! Collect hidden statuettes and find morphing objects. Enjoy the comprehensive strategy guide. Includes achievements, screensavers, wallpapers, soundtrack, and more! 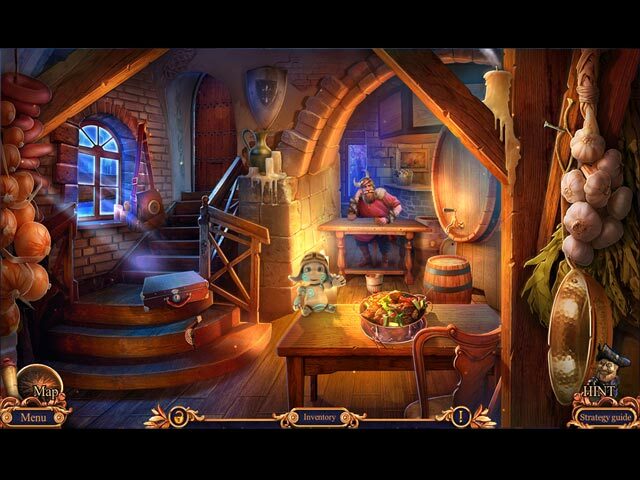 Replay your favorite hidden-object puzzles and mini-games again and again! 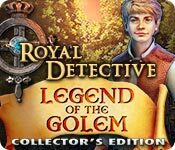 Royal Detective: Legend Of The Golem Collector's Edition is rated 4.2 out of 5 by 42. Rated 5 out of 5 by gamesrgreatfun from 4 1/2 Stars I wish there were half stars because this is not a 5 star game. But I think it is worth more than 4 stars. The reasons it's not a 5 star game to me is because the adventure part of the game was too easy. Not as challenging as I like it and because of that it wasn't as fun as these games usually are to me. This game would be excellent for a beginning player to start out with and they would probably love it! However, the HOS were excellent as were the mini-games. (Challenging but not frustratingly so and unique) I played all the way through the main game, as well as the bonus game because of these!! The storyline was also interesting and not one I had seen done before. A really great game but not geared towards advanced players. To me, it was worth the $ for the mini-games and HOS. I also thought the bonus chapter story was more interesting and more challenging than the regular game. Rated 5 out of 5 by smilingsun72 from Gallivanting Golems Reeking Terror! Completed CE...I played the first two games in this series and really enjoyed them. This one was just as good. The graphics, sound and voice overs are all well done. I liked the variety of puzzles. Most of them are fairly easy to solve, though I did find one or two a bit tough in casual mode. I like the little golem assistant that I had to actually add things to before he could complete a task. I liked the interactive HOS, more than just looking for objects. I liked the story but found it was a bit like the first story in this series. But all in all this is a great game. NO dark or dismal here. Rated 5 out of 5 by poohkieli from Loved it. This game is fun. Loved the story and all the little helpers. The HO scenes and minigames are enjoyable as well. Don't want to spoil, but the ending of the bonus chapter bummed me out... Dear developers, was that necessary? 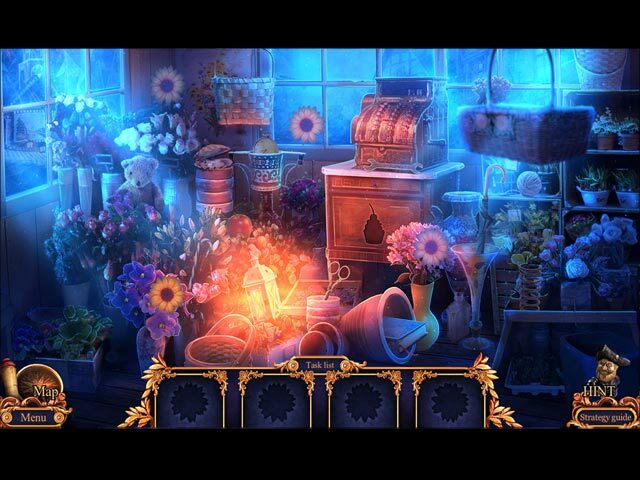 Rated 5 out of 5 by TheRealMagicJack from A Great Game in Every Way This is what I consider to be a masterpiece in the realm of hidden object games and I've played over 50 so I think I'm quite qualified to make that assertion. The flow, the puzzles and mini games, the graphics and artwork, the story, the music, the atmosphere, the places, the many other things, done perfectly. This is a beautiful game in every way and will satisfy anyone at any level of expertise. I hated when I finished it. Rated 5 out of 5 by bwake47 from HAD TO HAVE THE GAME!! As soon as I saw we had another Royal Detective with stone giants I knew I had to have it. This is one of my favorite series. I downloaded the demo, but didn't get it finished before today's great sale came out so I grabbed it up. The original game was my favorite, but I enjoyed the second one also. I'm sure I won't be disappointed in this game either. Give it a try. You might enjoy it as much as I do! Rated 5 out of 5 by bayley60 from Woopie! This was my favorite game of all time. The graphics are amazing and have (IMHO) raised the bar for other developers. I don't usually like "helpers" much, or furnish rooms for them etc. This golem is fantastic and feels like your manipulating a cartoon character. LOVED IT! If I could give it a rating of 10 I would. Rated 5 out of 5 by BarbaraFish from This is a terrific game! As soon as I saw another Royal Detective in the series, I knew I would buy it. I was very pleased with the graphics, voice overs, the HOS, and the puzzles. The individual characters were a bit stiff, but you don't see much of them, so no matter really. The story, while a bit similar, veers off into an odd yet fascinating direction. The puzzles were all great fun and I'm glad to see developers adding more puzzles than HOS. I think most of us have had our fill of HOS heavy games. Elephant and Big Fish have another solid hit in this game. Thank guys! Golems are taking over Glanville, and only you can stop them!